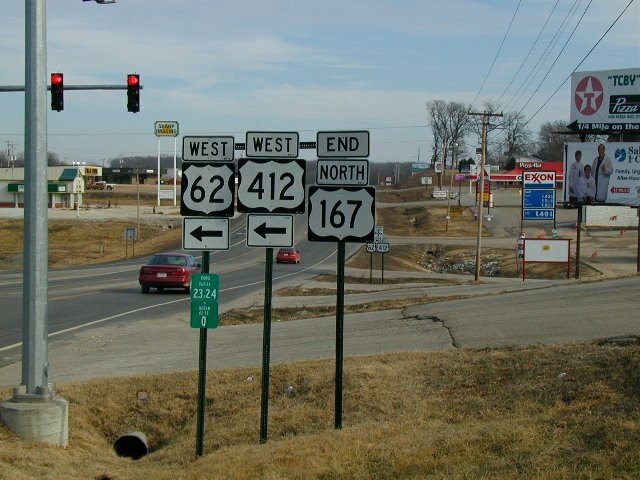 US 167 is one of those rare U.S. highways that ends at a state route rather than another US route or Interstate. Here, US 167 terminates at BUSINESS LA 14. 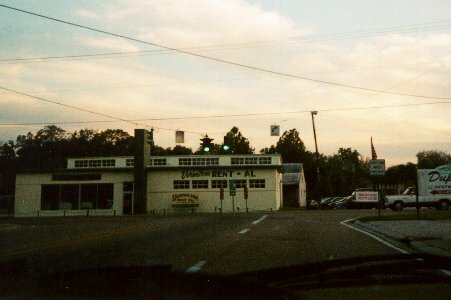 Photo by Adam Froehlig, taken November 13, 1999. End signage at the northern terminus, where the roadway continues as EB US 62/412. Photo author unknown.